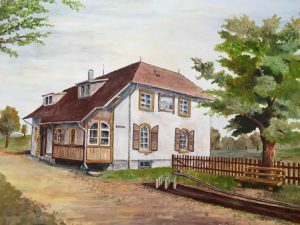 In the middle of the 19th century, Schwand was already known as a beautiful pleasant village inhabited by hard-working farmers who earned their keep by timber trade, cattle breeding and arable farming. In 1885, sixteen farmers from Schwand, Demberg and Raich founded some sort of consumer co-operative, that decided to establish a cheese dairy. 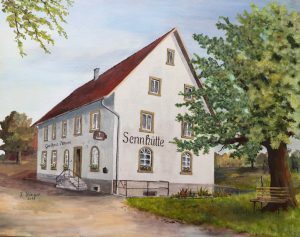 The “Sennhuette” exists as such since 1898. Jakob Friedrich, who was the owner at that time, had successfully demanded the licence to serve alcoholic drinks, which is called “Schankrecht” in Germany. Thus, he could, in addition to producing and selling cheese, also provide his guests with food and drinks in his restaurant, until the beginning of the 1st World War. After the War, during the period of economic crisis, Gustav and Lina Gsellinger took over the Sennhütte. Ever since, the restaurant was continuously owned by the family. They laid the foundations for the later success. Unfortunately the 2nd World War destroyed most of what they had built and achieved. 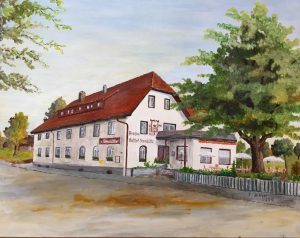 Nevertheless, Max Grether and his wife Anna (Gsellinger by birth), took over the restaurant of her parents in 1948 and started all over again. Their success spoke for itself. Approximately ten years later, they could renovate the house and build the first hotel rooms. The first hotel guests could be welcomed in 1960. One year later, their son Rolf married Rosemarie Grether, they are today’s senior bosses. Both generations worked hard in order to create the foundation for a continuous progress and success. In 1968 the rooms of the restaurant were extended and the heating was installed. 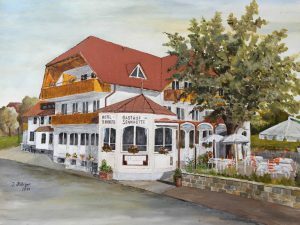 Rolf and Rosemarie Grether took over the hotel in 1978 and after that, the major renovation of the restaurant and hotel was realized. The hotel rooms were also modernized. A restaurant like this also needed adequate equipment and space for the cooking. Thus, the kitchen and the bar area were renovated in 1991/92. 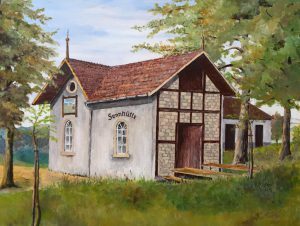 “100 years of Sennhütte” – what a cause to celebrate! This party celebrated in 1998 was a unique event in the history of this restaurant rich in tradition, but still future-oriented. Nothing is more constant than change. This proverb really characterizes the history of this family-run restaurant. After years of successful learning and experiencing in renowned restaurants all over the black forest and Switzerland, Jürgen Grether and his wife Karola took over the hotel-restaurant at the first of January 2000. Jürgen Grether is a certified Restorateur and Chef and his wife is a qualified hotel manager. Also very important for the hotel-restaurant is Jürgen’s sister Bettina, who also works in the service and their parents Rolf und Rosemarie Grether who can’t even think of going into retirement yet. Jürgen’s and Karola’s children Maximilian and Sabrina, born in 1991 and 1994 complete the Grether family. “Hand in hand- all for one and one for all” with three generations. In 2002 they realized the next and the most extensive rebuilding , which was a major effort! The whole house was rebuilt from October 2001 to April 2002. In 2015 some of the hotel rooms were renovated again. Since then, we can also offer elegantly furnished spacious suites.